Corsia Logistics serves businesses and individuals from across the country daily. Transporting vehicles from and to auto auctions. Shipping cars for collectors and specilized dealers. Shipping sports and specilized cars daily. Shipping for military personel worldwide. Shipping automobiles for students moving to college. Helping dealers move vehicles nationwide. Moving race cars anywhere in the country. Working with movers across the country daily. Special automobiles deserve special attention. Shipping motorcycles and recreational vechiels. Shipping cars for snowbirds nationwide. Relocating private customers’ cars daily. Shipping cars fro private buyers nationwide. International car transport for all our customers. Corsia Logistics serves both businesses and private customers. Auto transport is not a service exclusively reserved for auto dealerships, auto auctions or car rental businesses. This is a service that private customers use every day. From auto enthusiasts and classic car collectors to students, seniors and military members, they all need auto transport on occasions. We transport vehicles nationwide, learn more about our auto transport service areas. Transporting a vehicle is a service businesses and private customers utilize on daily basis. If you need to ship a car anywhere in the US, and would like to learn how it works and what it costs call us. We will answer all of your questions and discuss your options and budget. You can also request a car shipping quote online on our website or get one by phone. Auto enthusiasts often buy cars online and they need to transport them to their home. We work with many auto enthusiasts and car collectors from across the US to serve their auto transport needs. Students and whole families relocate every year, and they need to move their vehicles alongside all household. Seniors travel south every winter. This is why they are known as snowbirds and this period as snowbirds season. Thousands of seniors from the northern states and Canada travel south to spend the winter in the warmer states, and they all take their vehicles with them. Thousands of US military members move across the country and across the world daily. They all move their vehicles with them, or often bring new once from abroad. Every time military members move they need household and vehicle moving services. We help thousands of military members every year to transport their automobiles nationally and internationally. 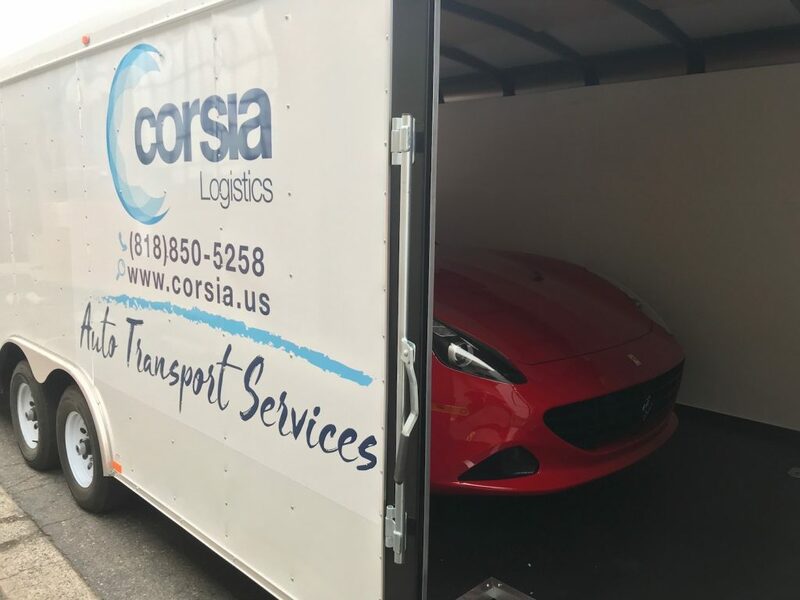 Corsia Logistics works hard to accommodate the auto transport needs of businesses and persons from across the country. Call us now to discuss your options and budget. We offer discounts to seniors, students and military members. Our team is here to help you ship your car with peace of mind. Thank you.